Dentistry and orthodontics are quite different, but they are also closely related. You need care from both a dentist and an orthodontist in order to keep your smile healthy. Dentistry and orthodontics both deal with the health of your smile. One focuses on straightening the smile and other focuses on tooth decay, gum disease and treatments to help correct oral issues. Both involve services that “fix” problems with the teeth to help make your mouth healthier, thus making you healthier. Find out the difference between dentistry and orthodontics, the similarities, and how both can help you have the best smile possible. Dentists are also trained in cosmetic dentistry and can provide services such as dental implants, porcelain veneers, porcelain crowns, cosmetic bonding, dental bridges and even botox treatment. Restorative dentistry involves root canals and root canal therapy, teeth-whitening services, tooth-colored fillings, and in some cases orthodontic care through Invisalign. The dentist is usually trained in orthodontics to provide this service. If a dentist finds that a patient has a problem with their bite or alignment, they will refer the patient to an orthodontist who is certified and trained to correct the issue. Overbite – In the upper jaw, the front teeth rest over the lower front teeth instead of above. You never want the front teeth to overlap the bottom teeth completely, as this creates pain and other problems when biting, eating, and other everyday tasks. Underbite – This is the opposite of overbite. The lower front teeth rest far in front of the upper front teeth. This creates similar jaw problems as mentioned with overbite. Underbite can lead to jaw and joint pain, earaches, headaches. and more. Crossbite – Crossbite involves teeth that cross in all different directions. Some of the teeth are slanted toward the tongue. Other teeth are slanted towards the cheeks. This creates uneven pressure all over the mouth when biting and chewing, which can lead to broken or fractured teeth, weakened enamel, pain, and more. Crossbite can even cause abnormal facial development and jaw problems if left untreated. Openbite – Openbite refers to an opening (or gap) in the teeth between the upper and lower jaws when the mouth is closed. This gap is right at the front of the teeth and might even appear as a hole in a patient’s smile. Openbite leads to speech impediments, lisps and other problems with speaking if left untreated. Did you know that an orthodontist has dental training? Orthodontists must obtain several degrees in order to work. They must obtain a Doctor of Dental Surgery (DDS) degree or a Doctor of Medical Dentistry (DMD) degree just as dentists do. Then, they must apply to an orthodontic graduate program to obtain a Masters of Science degree. Orthodontists go through all the same training as dentists and then some. This is how orthodontists can spot dental issues forming. Basically, all orthodontists are dentists but not all dentists are orthodontists. If you have problems with your teeth, gums, oral nerves or jaw, then go see your dentist. Your dentist will refer you to an orthodontist if the issue is corrected by an orthodontist or has to do with bite, alignment or straightening. When it comes to problems such as tooth decay (cavities), both dentists and orthodontists can help you in some way. Orthodontic care via braces can help straighten the teeth, thus making them easier to clean and reducing your risk for tooth decay. Dentists can also help you prevent tooth decay with comprehensive exams, biannual cleanings and treatments that stop the progression of cavities if they have formed. Both dentistry and orthodontics involve services that “fix” problems with the teeth to help make your mouth healthier, thus making you healthier. 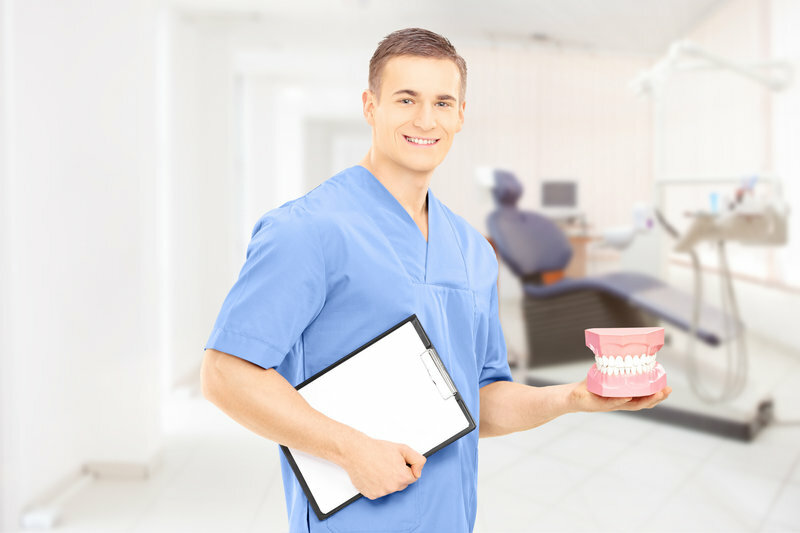 Both professions involve doctors who are highly trained to help problems with your oral health. Patients can benefit greatly from having both a dentist and an orthodontist. Take a step towards a healthier mouth, and schedule an appointment with Dr. Hardy today by calling Belmar Orthodontics at (303) 225-9016!